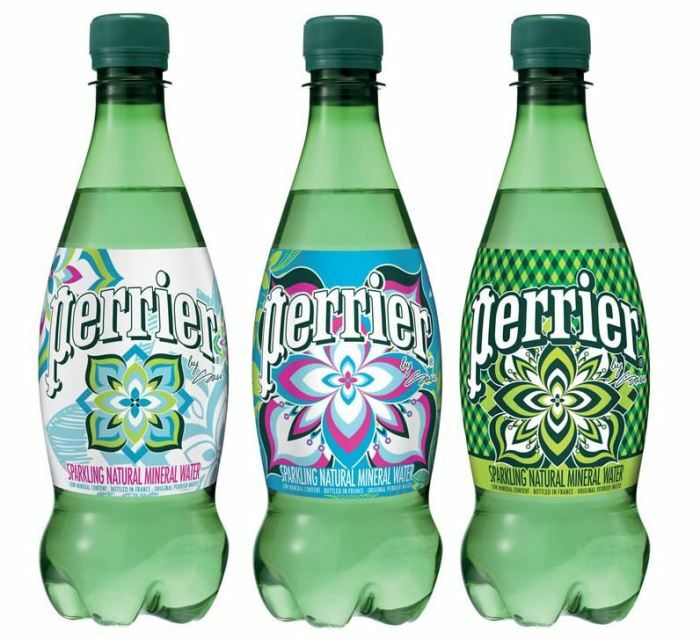 Nestle-owned Perrier, the Rolls-Royce of bottled water has come with a great idea to market their sparkling water. 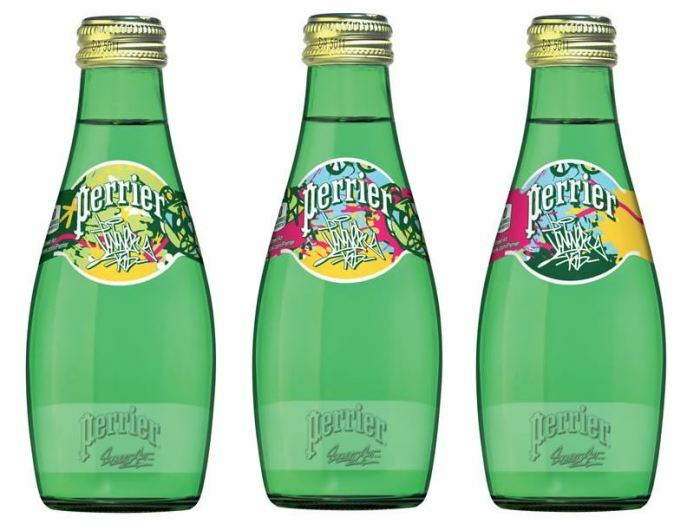 They have hired three of world’s best street artists to create a new limited edition series named Perrier Street Art Limited Edition Collection. Artists JonOne, Kobra and Sasu created artwork is a kaleidoscope of vibrant colors with nine unique designs. 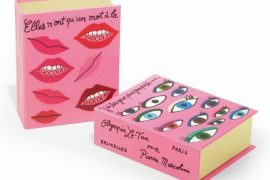 Each artist created three designs that are showcased on Perrier’s iconic glass bottles, plastic PET bottles and the new Perrier Slim Cans. JonOne is a native New Yorker who moved to Paris in late 1980’s, it is no exaggeration to say that he is now more Parisian than a New Yorker. 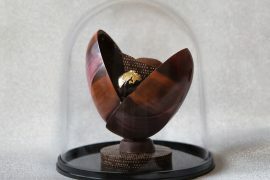 He contributed to decorate the Perrier glass bottles with colorful abstract art. 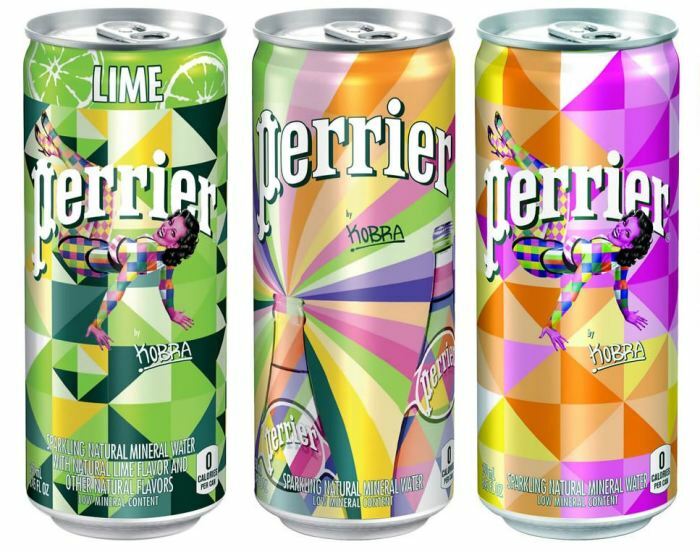 Kobra, a São Paulo native has his dynamic graphics and lively patterns showcased on Perrier slim cans. Meanwhile Tokyo-born Japanese artist Sasu helped decorate Perrier PET plastic bottles with her elegant and geometric creations. 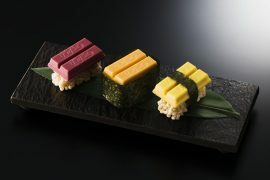 “Creativity knows no borders. 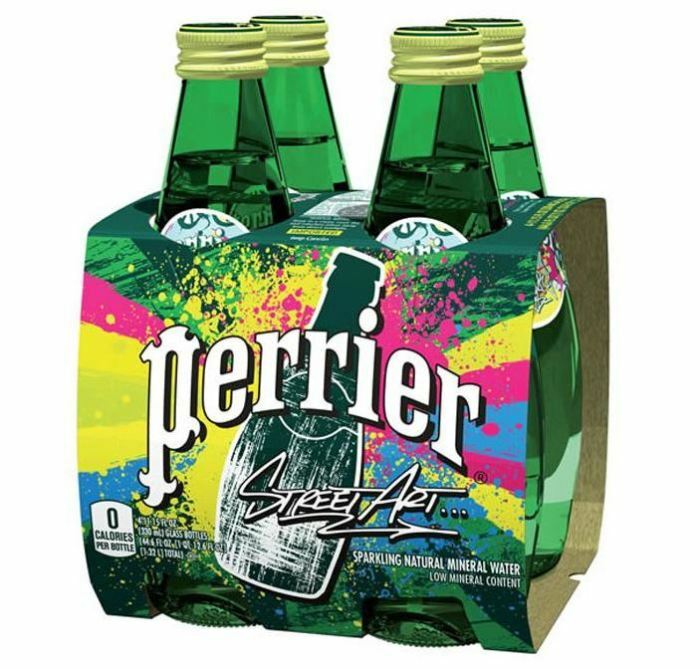 The vivid packaging designs featuring the work of JonOne, Kobra and Sasu all embody a bold and youthful energy that is core to the spirit of Perrier,” said Priya Shenoy, Perrier Group marketing manager. 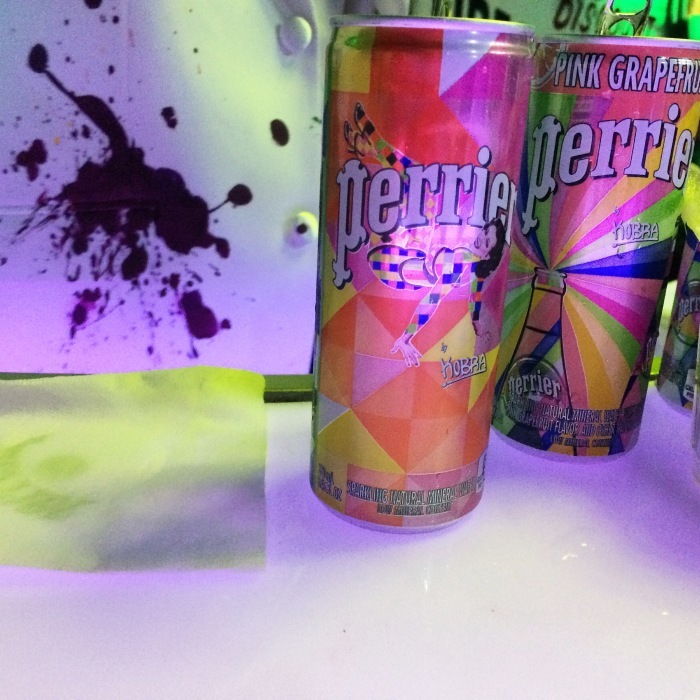 Staying with street art theme, Perrier also hired Colossal Media to to handpaint 10 outdoor murals across Manhattan, Brooklyn, Chicago, and Los Angeles. Murals were put on display on September 22nd, while one additional mural to be revealed in December in Miami during Miami Art Week.